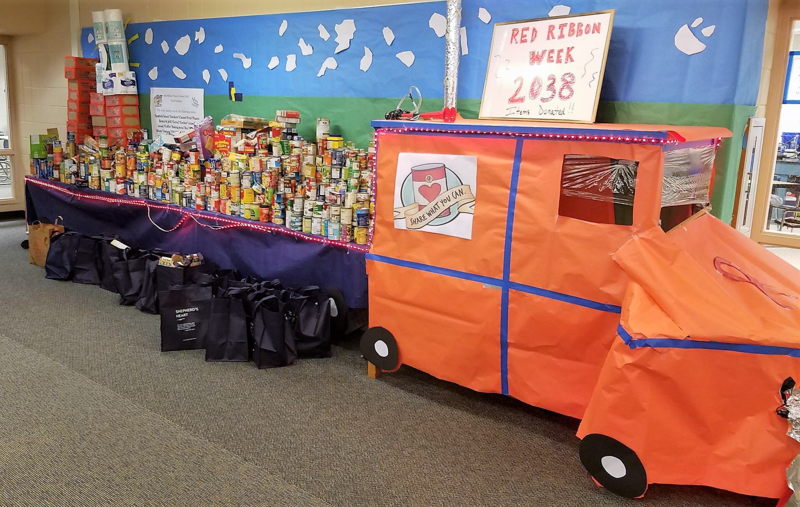 Eighth-grade students at Geneva Middle School South collected more than 4,000 items during a Red Ribbon Week food drive, learning valuable lessons and building a caring community along the way. 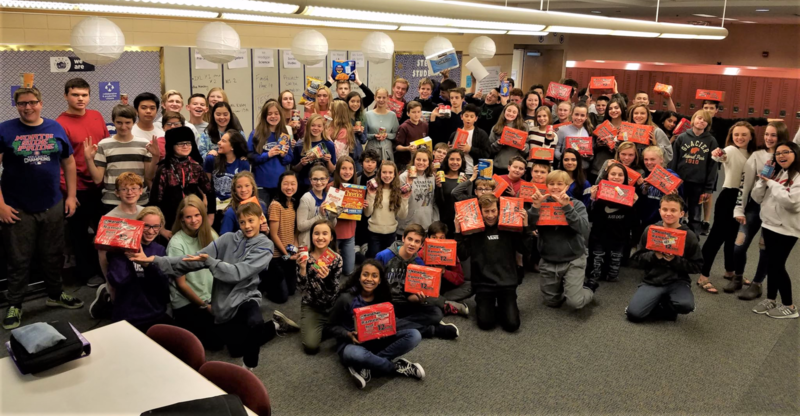 “The whole school has been participating in all kinds of activities to show kids that our journey can be positive and fun, and still be drug- and alcohol-free,” says Librarian Mrs. Fedor. Students in schools across Geneva CUSD 304 have participated in Red Ribbon Week, an annual drug prevention campaign. To learn more about Red Ribbon Week, click here.